Coffee Growers hit by low prices and poor crop this season ask Government to consider a minimum support price (MSP) or a price compensation scheme. 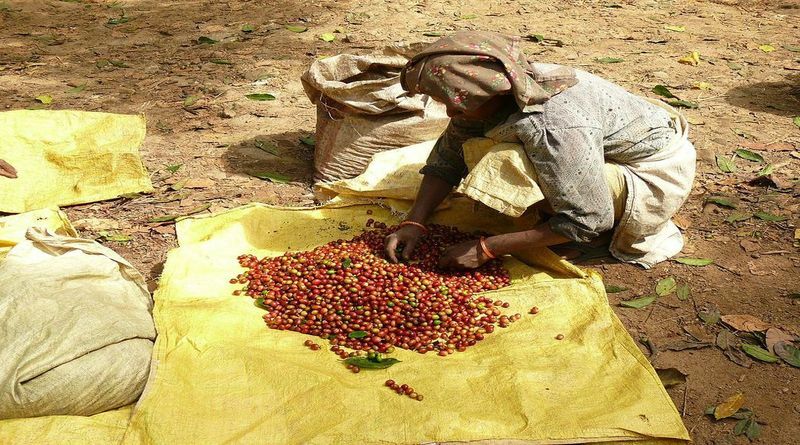 “We urge the Centre to look at an MSP or a support price scheme for coffee to help rescue the growers,” said BS Jairam, President, Karnataka Growers Federation, a body of coffee producers. Representatives from Karnataka Coffee plantation sector are expected to meet the Commerce Minister and officials this week in New Delhi to present their case. Coffee prices in India varies with the London and New York terminals, and have been volatile in the recent years, hurting growers’ earnings here. Prices of robusta cherry, which hovered around ₹3,700 per 50-kg bag last year is now at ₹3,000 levels — about 19 per cent lower. Similarly, the prices of Arabica parchment, which ruled at ₹9,900 levels per 50-kg bag last year are now at around ₹7,300 levels. In addition to the low prices, the output — mainly that of robusta — has turned out to be lower than initial expectations in Karnataka, which accounts for around 70 per cent of India’s coffee output. “The price is below the cost of production and as a result the growers are finding it difficult to service their debts.” said HT Pramod, Chairman, Karnataka Planters Association. Besides the volatile global prices, a stronger rupee has also added to the pressure on prices here, said Vishwanath KK, a KGF official and planter.